The ROCK project brings together 32 partners from different countries and different backgrounds. 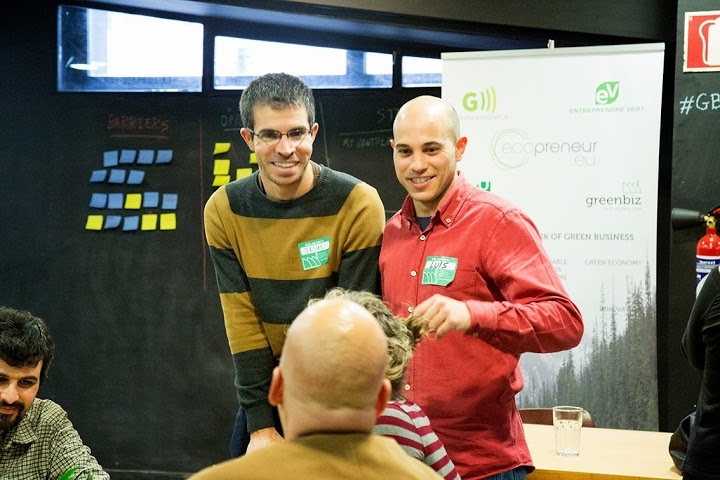 This month we learn more about Ecopreneurs for the Climate (Eco4Clim) with Jesus Iglesias Saugar who tells us about green economy and the involvement of SMEs in environmental and cultural sustainability. There are various, but all linked to globalization, concentration of capital, migration patterns, and climate change. Firstly, the globalization of a certain "western" culture has implied the erosion or loss of others, and as a result communities have been diluted into the mainstream, with the disappearance of the social fabric, local commerce, and cultural heritage that entails. Moreover, a global, deregulated economy has further accelerated this process, as small enterprises -cultural carriers- lose ground to multinationals. Besides, massive amounts of population are migrating towards cities (it is estimated they will encompass 70% of the population by 2050), leading to overcrowding, environmental degradation, social conflict, food distribution and water management challenges, and all sorts of sustainability-related issues. On top of it all, while they only occupy two percent of the world’s landmass, cities generate more than 70% of global carbon emissions, and will suffer some of its most dramatic consequences if unabated, particularly given the fact that 90% of the world’s urban areas are situated on coastlines, therefore highly vulnerable to rising sea levels and powerful coastal storms. How do you see the future of cultural heritage? What creative districts/cities inspire you at the moment? At the moment, personally [Jesus Iglesias], I am really inspired by and involved in my own neighborhood and city: Malaga, in southern Spain. Despite massive tourism and a dangerous real estate bubble, a growing number of people are getting organized in civil society groups in their neighborhoods and around concrete challenges affecting their lives, all while creating alternative economic mechanisms (farmers’ markets, cooperatives, etc.) at a local scale. Regarding global interconnection and cooperation, networks of cities and municipalities for the climate are truly leading the day in terms of climate innovation, including ICLEI, or C40 Cities. From our end, our global network of city-based climate innovation labs (ClimateInnovation.city) already counts 29 cities from 19 countries, cooperating around join initiatives like the Young Ecopreneurs Climathons, including Bologna ROCK Hackathon ( climathons18.climateinnovation.city), the San Francisco Climate Innovation Journey (sanfrancisco18.climateinnovation.city), or the Global Week of Ecopreneurs and Cities for the Climate (ecopreneurs4climate.org), already on its 4rth edition, and concluding as usual at UN Climate Conference (COP24), where high-impact eco-entrepreneurs present their business solutions to climate change to world decision makers and stakeholders. Find out more about the first ROCK Hackaton organised by Eco4Clim in Bologna.